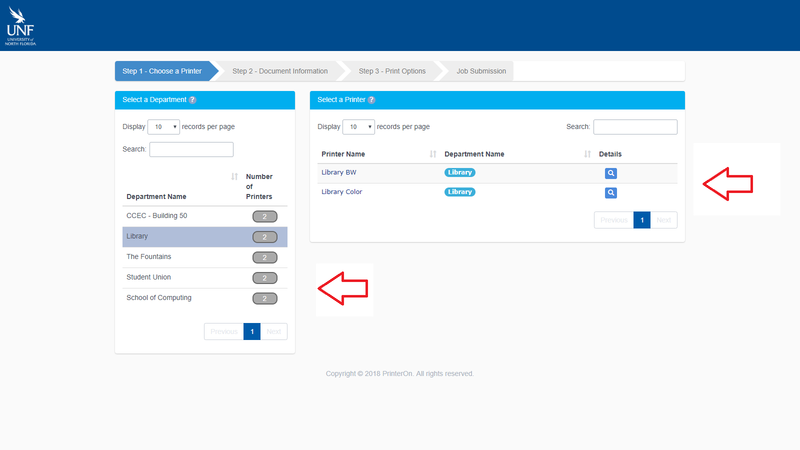 Send webpages/documents to Library printers wirelessly from your laptop using our Campus Printing Service . See the images below for a step-by-step. 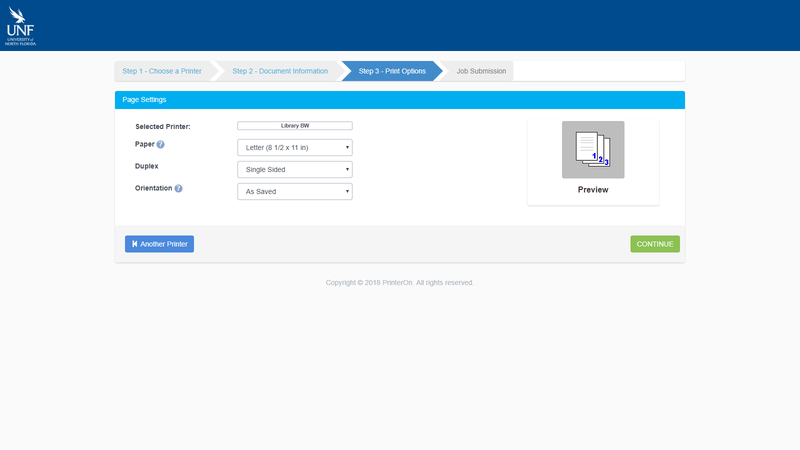 Step 2: The printers are now divided into various departments, listed on the left side of the screen. 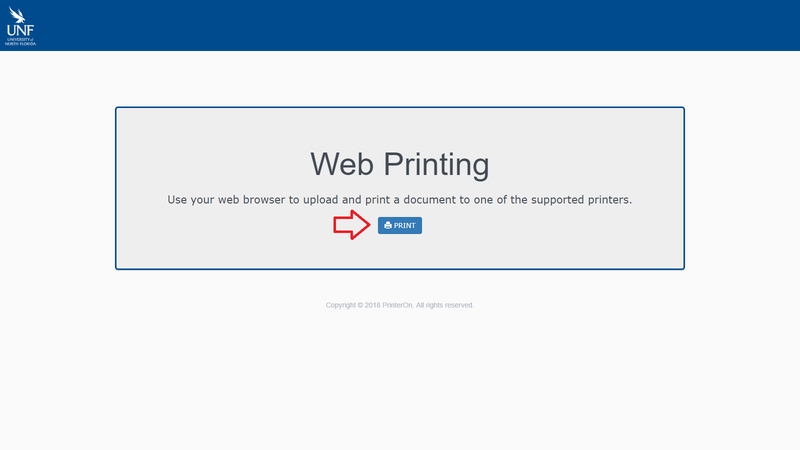 Select one to make the printers appear on the right side of the screen. 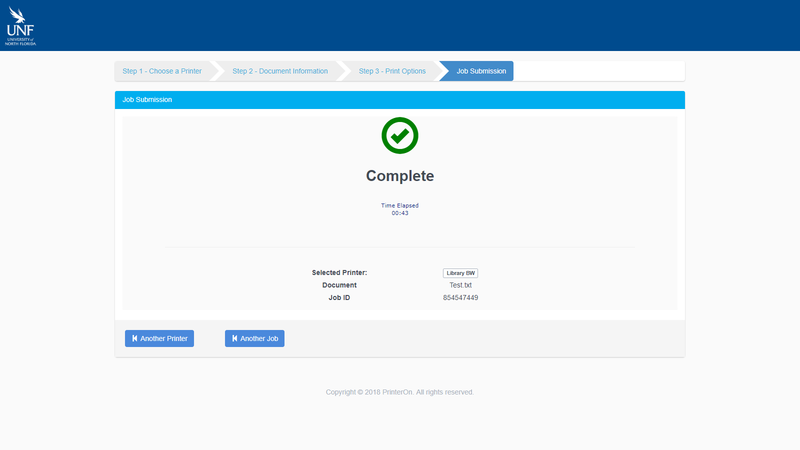 Step 3: Click on “Choose File” and browse to your file on your computer. 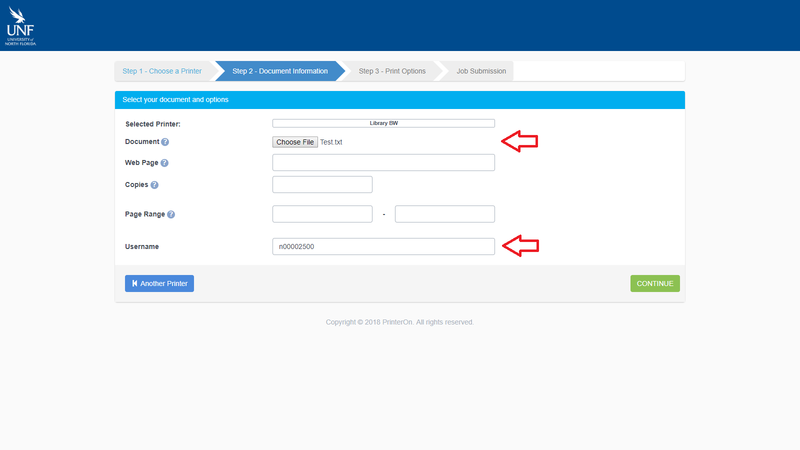 You must also put your N number into the “Username” field for it to be attached to your print job. Step 4: Change your page settings as necessary. 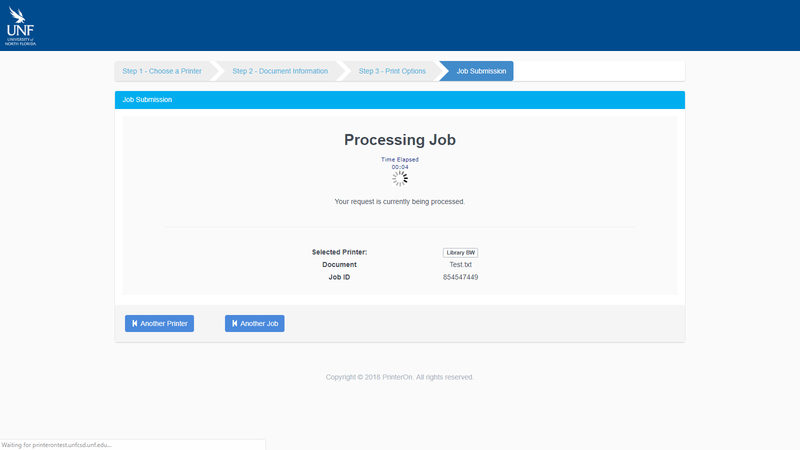 Step 6: When the job has completed, it will show up in our current print queues.